Back when I was researching agents for CAVEBOY, I came across a book called SAMMY KEYES AND THE NIGHT OF SKULLS by Wendelin Van Draanen. As I was reading I got the distinct feeling I’d jumped into the middle of a series. Well, it turns out I’d picked up book fourteen! I enjoyed it enough I planned to go back and read the others, and now I’m on track with the first book, SAMMY KEYES AND THE HOTEL THIEF. I probably won’t read them all right away or you’d have months of reviews as there are now fifteen books with at least two more planned. Here’s the description from the author’s website. It’s a bit dated :). Sammy Keyes is perusing the neighborhood through binoculars when she spots something fishy at the Heavenly Hotel. She’s sure she’s just seen a robbery, now she just has to prove it. 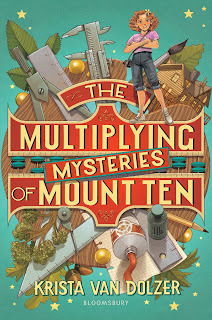 [SAMMY KEYES AND THE HOTEL THIEF] is the first book in the exciting new series of middle-grade mysteries starring the smart and spunky seventh-grade ace detective. “This girl sleuth is no well-mannered Nancy Drew. She’s hot-tempered, nosy and not always obedient. In short, she’s someone I want to read about again. A winning debut!” (Margaret Maron, author of The Bootlegger’s Daughter and One Coffee With). 2. Sammy’s living situation – I’ve seen some unique living situations for main characters, but the fact that Sammy lives in her grandmother’s seniors-only apartment adds an extra element of suspense to the story. Not only is Sammy trying to identify the hotel thief, she’s figuring out how to sneak in and out of the apartment building without being caught by her grandma’s nosy neighbor Mrs. Graybill. This maneuvering becomes part of the central plot as well when the thief becomes confused about which window he saw the person with the binoculars in. 3. The villain – Of course there’s the hotel thief, but there’s also the villain of middle school, a character I know from reading the later book is destined to become Sammy’s arch nemesis. It tells us a lot about Sammy’s character that her first impulse is to punch Heather Acosta in the nose, but the way she gets Heather back for faking a broken nose is ingenious. Way to go, Sammy! 4. Spunky Sammy – Sammy is fearless. She’s not afraid of the bully. She’s not afraid of Mrs. Graybill. She’s not afraid of the hotel thief (well, maybe a bit). She’s not afraid to go into the hotel her grandmother calls seedy or put herself right in the middle of a police investigation. She stands up to Officer Borsch, sneaks onto the mall roof, and solves the mystery. Basically she’s who a lot of girls want to be–or at least pretend to be. Her life isn’t perfect, but she knows how to make the best of it. 5. Sammy’s revelation – One of the messages in this book is that things aren’t always as they seem. It reminds me of THE SEVENTH LEVEL in that way. Here’s a passage that shows how she grows without giving away any spoilers. A funny side note about that revelation–it comes about as she’s knitting. A spunky heroine who’s a beginning knitter! If you haven’t read this series, you should definitely check it out. I’ll certainly be making my way through the other fourteen books! Is anyone else a Sammy fan? Let me know in the comments. For querying writers, Wendelin Van Draanen is represented by Ginger Knowlton of Curtis Brown. I’ve read one of these before – Sammy was solving mysteries on a cruise ship. 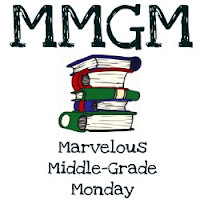 It’s great to find a good MG mystery series. I look forward to reading the others. Glad to find another Sammy reader! Thanks! It makes sense that boys would enjoy this series, too. Sammy’s not too girly, even in the later one I read where she has a boyfriend. Glad to hear your students loved it! Mystery! Fun. And I’m sure I’ve said this before, but I love the way you list things you’ve enjoyed about the book. Such an easy format to absorb. Thanks, Barbara. It’s the easiest way for me to organize my thoughts, so I’m glad it works! They’re worth picking up. Hope you enjoy! It’s been almost a year since I read the book, so I don’t remember all the details of the mystery. But your comment reminded me that I do want to go back and read more Sammy, so thanks! I agree on the awesomeness! But I don’t remember the tire tracks specifically. It’s been about a year since I read this book, so the details escape me.